We give a 5 years warranty. ​All prices are without VAT. One of the most popular touring or fitness boats in Europa. After the last reconstruction boat has gained a modern decks design. 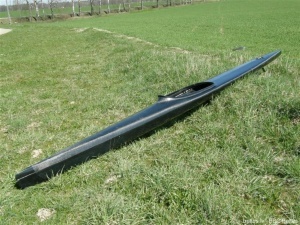 The boat is very stable, with good manoeuvrability, good speed characteristics suitable for both beginners and those with experience in rowing. Due to the high stability of the boat it is a popular for long-distance, marathon. 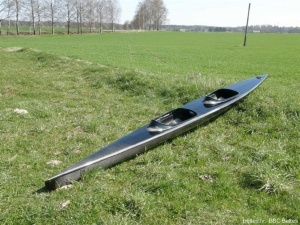 For marathon needs we can produce boats with a weight of 8 -9 kg. Cobrata K-2 is designed respecting and preserving the K-1 Cobra basic principles. The boat is planned for two persons. The boat stands out with good running properties and speed, as evidenced by the number of wins and awards in international marathons in Denmark, Sweden, Estonia, Lithuania, Poland. Kayak is equipped with sport type steering system, hermetically sealed luggage section. 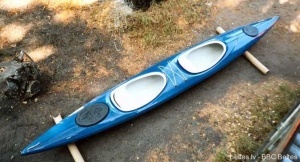 Kayak can also be completed with lifting wheel. 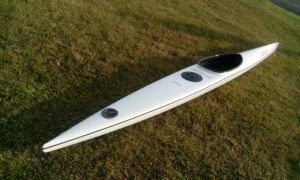 Thanks to the boat elegant, streamlined shape, it is very fast, good maneuverability, stable, sustainable pace. Kayak Forelle has participated in various marathons in Sweden, Denmark, Finland, Estonia and Germany. Good boat boating in internal waterways and along the large lakes and sea bays. 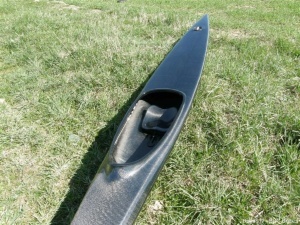 Kayak is very stable and featuring goods maneuverability. It is easy for experienced oarsmen to train beginner partner. When two people rowing the boat can achieve decent speed, which gives unsurpassed feeling and loads of positive emotions.